The Food Truck WordPress theme is designed to help you quickly create a professional website for your food truck or catering business. Pages are already set up for your photos, menu, press and more. 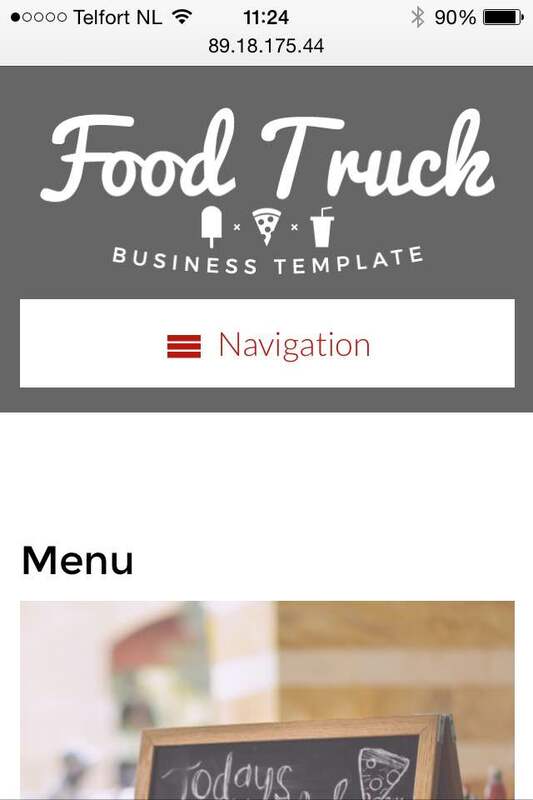 Just add your own text and images to this pre-built website template to get your food truck business online fast! 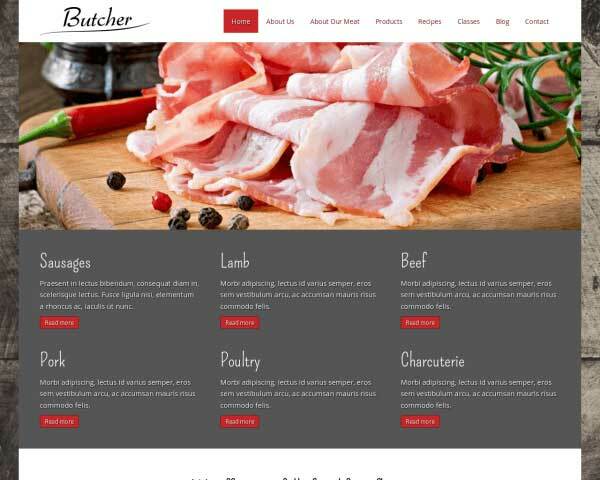 Want a professional website for your food truck business, but don't have a lot of time, web design skills or a big budget? 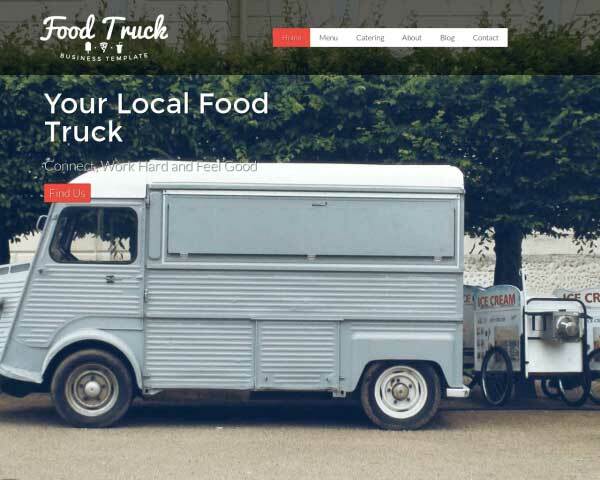 Start with the Food Truck WordPress theme to quickly and affordably create a dazzling website to promote your business online! 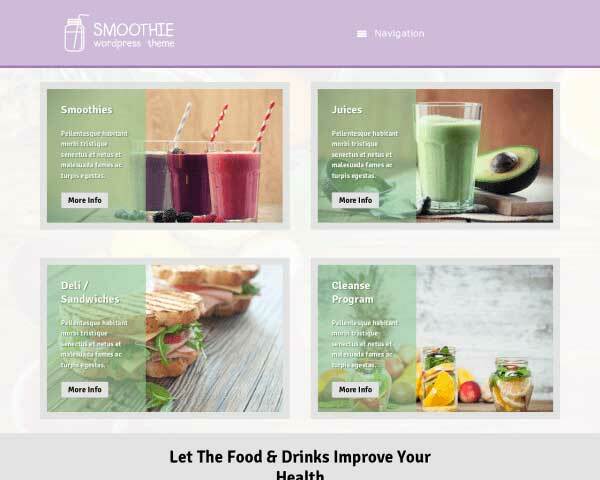 This pre-built website template is ideal for any type of food or catering business, featuring an full-width image slider and pages already set up for your menu, photo gallery, press and more. All it takes to complete your new website is to fill in your own text and photos. We've made it easy to customize the color scheme, style text and rearrange page layouts using our visual front-end editor and drag and drop widgets. Absolutely no coding is required! This premium WordPress theme for food trucks boasts sleek responsive design and many useful features that would normally require additional plugins, such as lightbox image galleries, social media options, a maintenance mode setting, and integration with Google fonts, maps, and analytics. With a fun, upbeat design, preconfigured pages and powerful business features built in, the Food Truck WordPress theme is a smart way to expand your reach and raise your profile online! Like all of our themes, this Food Truck WordPress Theme comes with a blog all set up and ready for your content. 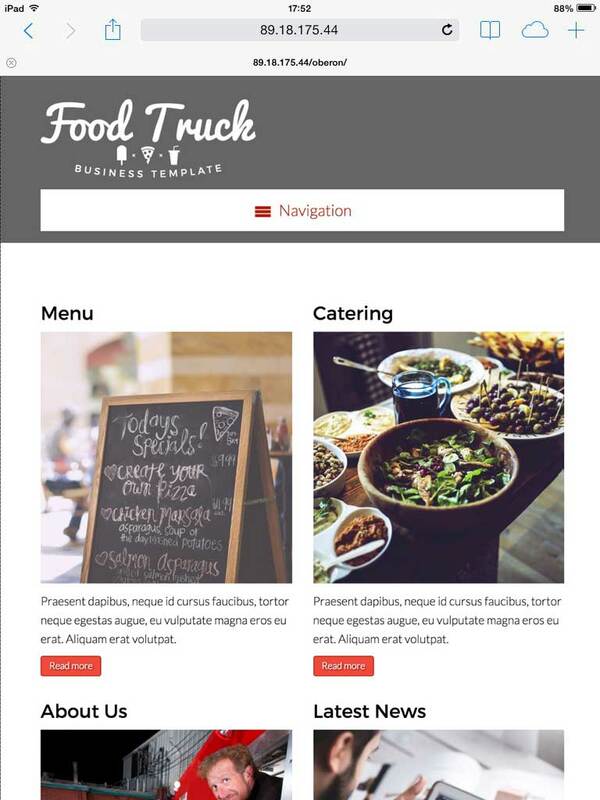 The Food Truck WordPress Theme includes a page with a customizable catering form. Add fields as needed so you'll get the important info you require from visitors who submit catering requests online. The Food Truck WordPress Theme's contact page is built with useful features like an integrated Google map, route planner and a contact form that can be customized to suit your needs. A full page slider combined with a solid design makes for a Food Truck WordPress Theme which certainly takes your online presence to the next level. The Food Truck WordPress Theme is integrated with popular social media platforms, allowing visitors to easily share your content. Link to your own pages or even display your Tweets! Add an image gallery to any page or post on this responsive WordPress theme for truck owners. Clicking on any thumbnail opens the image in an elegant lightbox slideshow. 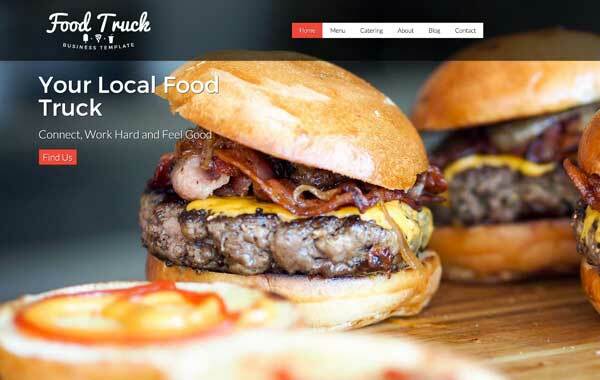 The Food Truck WordPress Theme is designed with the specific business needs of truck owners in mind. With the important pages and features already in place, your website is more than halfway there! A clear and readable menu page is an important part of every food truck website. The Food Truck WordPress Theme is built with placeholder text and images ready for your own dishes and descriptions. The Food Truck WordPress Theme allows you to display media mentions, it's a great way to build your authority. The Food Truck WordPress Theme's homepage is laid out rock solid. With a beautifully symmetrically aligned service overview for you to showcase your particular skill-set. Share your best reviews on the Food Truck WordPress Theme's Testimonials page. Replace the text with your own reviews and they will automatically be styled as you see here. 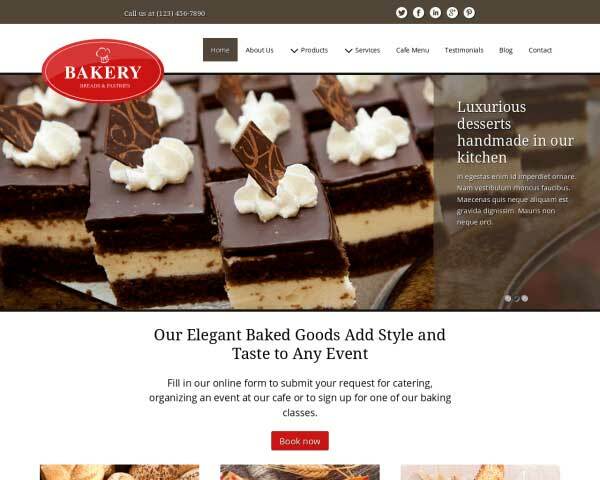 A website about great food on the go should look great when viewed on the go! 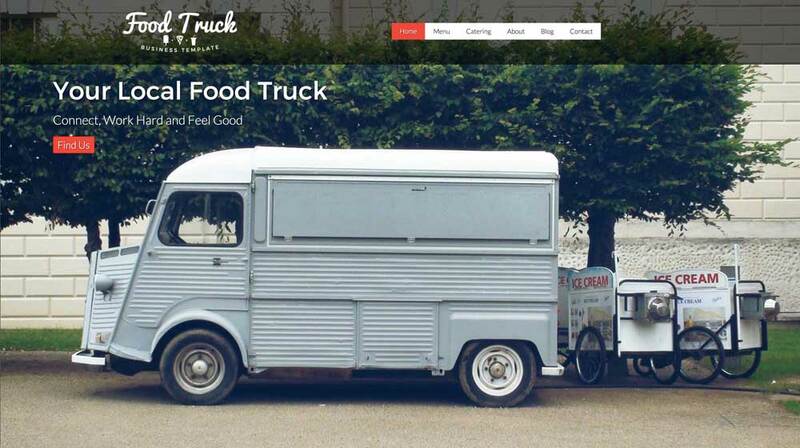 With this responsive Food Truck WordPress theme, sleek mobile web design is just part of the package. Our mobile-optimized design will adjust the layout of your content to display neatly at any screen size, no coding, plugins or extra effort required. 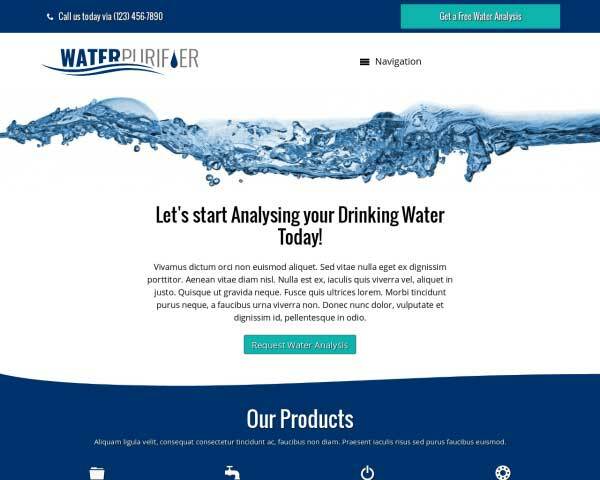 Visitors using smartphones and tablets to browse your website will enjoy the same gorgeous full-width photos, neat menu page and user-friendly navigation of the desktop version. Add videos, photo galleries and more without every worrying about how your site will look on small screens.